Step 1: Click on the text icon and enter your text. 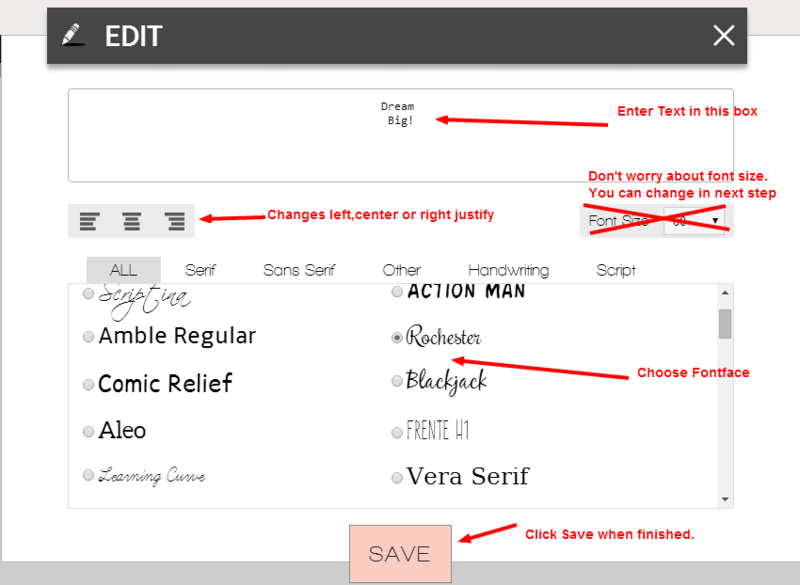 Step 2: Enter your text and choose your font. You can only have one font choice per object. Don't worry about sizing as it is easier to change the size in the next step. Step 3: Adjust the font size and rotate if desired. 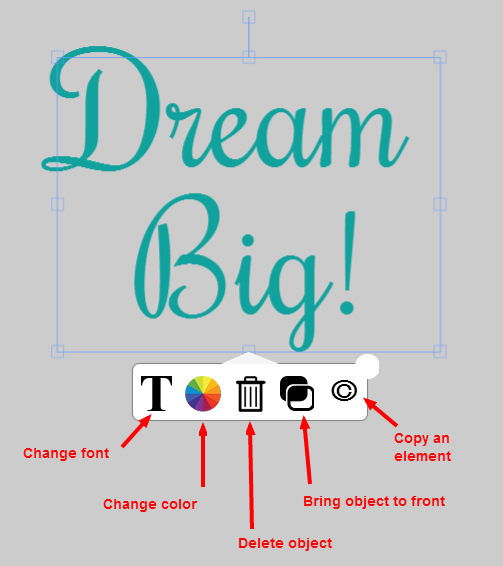 If you want to change the font itself, please view this tutorial. Step 4: Change Color. 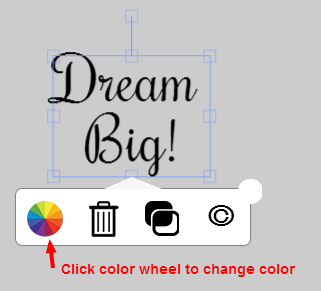 Right click on the object to bring up the options menu popup and click the color wheel to change color. Please note that only 2 colors are allowed per design. 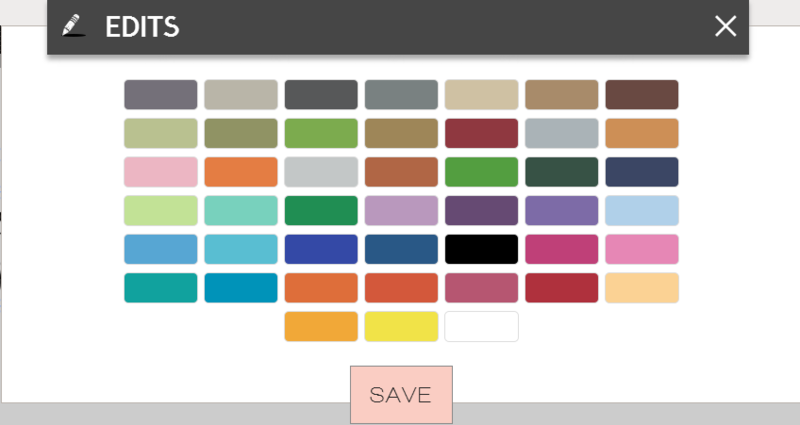 If you already have 2 colors in your design, only those 2 color options will be available. 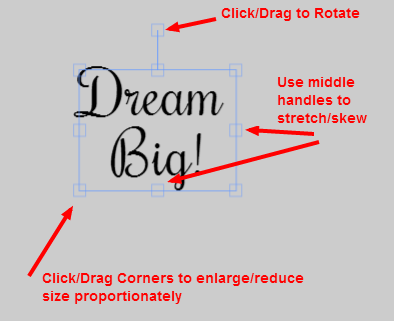 Step 5: Add another text object or an accent image and finalize your design. Your total will be displayed in the upper right hand side of the artboard. Step 6: Click the add to cart to purchase your design. Once added to your cart, you will not be able to edit the design. That's it. You're done. Let your creativity flow and create your own personalized custom wall decal. Below is a quick guide on what the other icons do in the options popup window.